In recent years the face of high school athletics in Massachusetts has changed dramatically. There have been many changes in the requirements for participation, necessitating an increased understanding of school, league and state rules. The purpose of this handbook is to introduce to student/athletes and their parents/guardians the philosophy behind our program and the regulations and policies which govern it. Although this handbook cannot include every policy and rule which applies to athletics, the most critical and fundamental rules are contained within. It is our expectation that parents and students will read this handbook in a thorough manner. In this way, misunderstandings about our rules may be avoided. 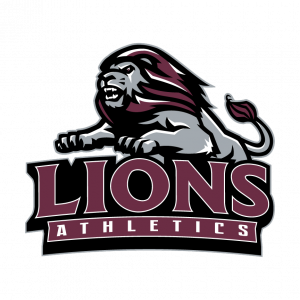 Ludlow High School believes that athletics are an important part of a sound educational program and that participation is a privilege available to all eligible students. While physical skill and demonstrated ability are primary considerations in determining actual participation, we believe that all aspects of secondary school athletics are subordinate to the essential purpose for which schools exist and must be controlled by educational considerations. This privilege carries with it serious personal responsibilities to the school, the student body, the faculty and the town which the athlete represents. Interscholastic athletics provides the “other half” of education. Our program strives to develop positive values and habits in students so that personal growth and development occur. Improved skill levels, heightened sense of cooperation and competition, self-discipline and realization of the value of group goals are just some of the objectives of our athletic program. Successful competitive performance in combination with educational considerations serves as the cornerstone for our athletic program. All athletes are given a fair opportunity to demonstrate their skill levels and made to feel they are part of a team. The young man or woman who learns to cope with victory and defeat; to accept frustrations and disappointments as well as success; to spend long hours in practice with no guarantee that they will get in the game; to accept discipline and to work with fellow athletes, has learned things that cannot be taught in the classroom. Athletics play a unique role in joining the school and community. Civic pride and identification with Ludlow High School are results of athletic participation that can last a lifetime. Fall sports generally begin around either the 3rd or 4th Thursday of August (exception: Football). Winter sports begin on the first Monday after Thanksgiving. Spring sports begin on the third Monday in March. 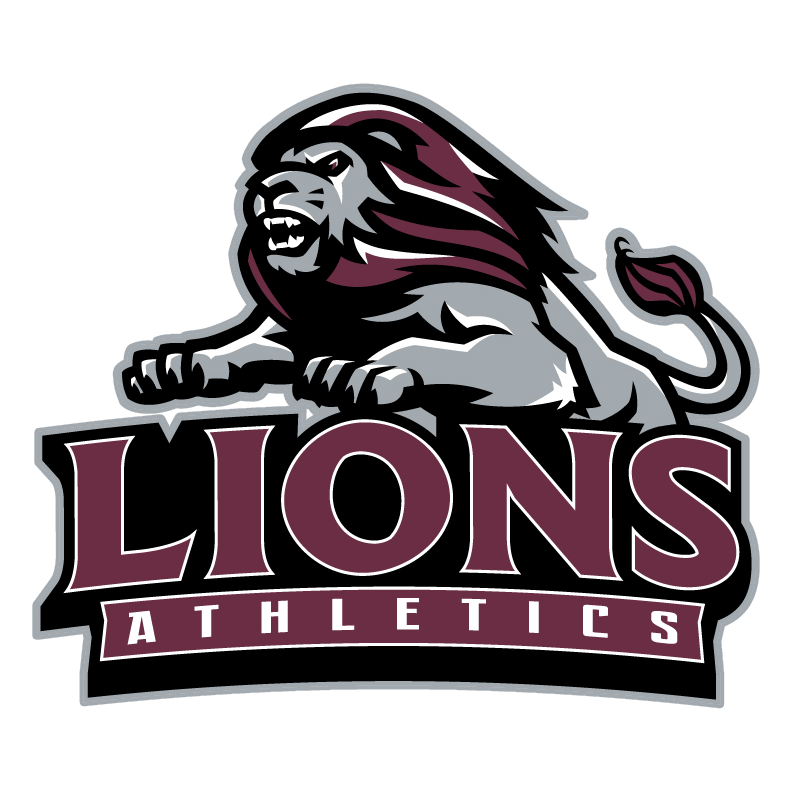 Subject to restrictions on team size, the athletic program will be open to all students who are physically able to participate and who are eligible under local and state regulations. An unlimited participation policy will be used whenever possible. There are factors, however, which may dictate that the total number of players on a team be limited in order to maintain a high level of safety, coaching, playing time and cost-effectiveness. It is the judgment of the coaches which dictates the selection of participants during actual game situations. All athletes are given fair and ample opportunity to demonstrate their abilities prior to the commencement of league and non-league competition. A. Provide leadership and service designed to improve inter-school relations in athletics. B. Foster cooperation among voluntary institutional members and the Massachusetts Secondary School Administrators Association, Massachusetts Department of Education, Massachusetts Association of School Committees, Massachusetts Association of School Superintendents, Massachusetts Secondary School Athletic Directors Association, Massachusetts State Coaches Association and with professional organizations interested in attaining common goals. students as an integral part of the education of secondary school students. D. Promote safety and health of participants in interscholastic athletics. institutions which become voluntary members of the Association. 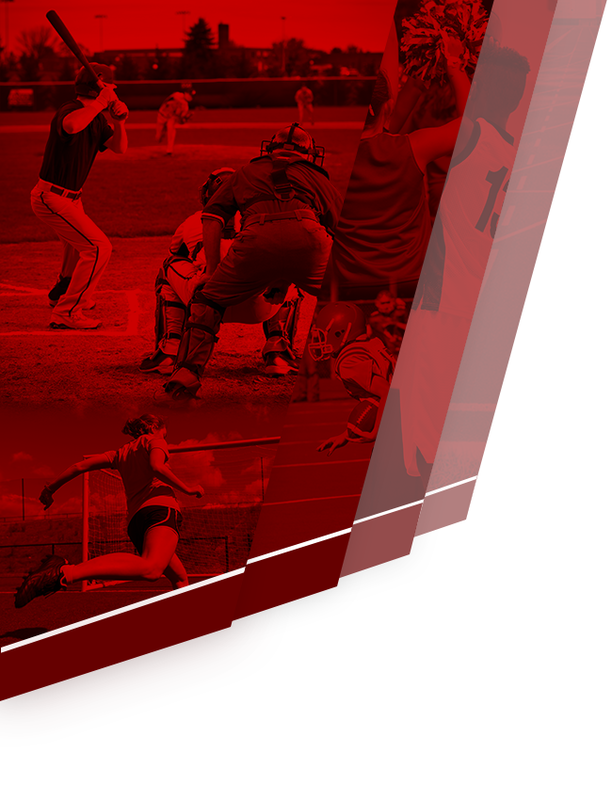 The interscholastic athletic curriculum is an integral part of the overall educational program of the member schools. The interscholastic athletic program shall exist for the benefits which it has for the students. The activities and contests shall be psychologically sound by being tailored to the physical, mental, social and emotional maturity level of the students participating in them. The following public high schools are members: Agawam High School, Amherst Regional High School, Athol High School, Belchertown High School, Cathedral High School, Central High School (Springfield), Chicopee Comprehensive High School, Chicopee High School, High School of Commerce – Springfield, William J. Dean Technical High School, Easthampton High School, East Longmeadow High School, Franklin County Technical High School, Frontier Regional High School, Gateway Regional High School, Granby High School, Greenfield High School, Hampshire Regional High School, Holyoke Catholic High School, Holyoke High School, Hopkins Academy, Longmeadow High School, Ludlow High School, Ralph C. Mahar High School, McCann Technical High School, Minnechaug High School, Mohawk Trail Regional High School, Monson High School, Northampton High School, Palmer High School, Pathfinder – Regional Vocational-Technical High School, Pioneer Valley Regional High School, Putnam Vocational High School, South Hadley High School, Southwick High School, Springfield School of Science and Technology, St. Mary’s High School – Westfield, Sabis International Charter School, Turner Falls High School, Ware High School, Westfield High School, Westfield Vocational High School, and West Springfield High School. The Superintendent of Schools is ultimately responsible for all phases of the Ludlow High School athletic program. The Principal is specifically responsible for all school activities that affect students in his/her building. All local M.I.A.A. authority and responsibility is vested with the principal. The Director of Athletics is responsible for the actual administration and mechanics of operation of the program. A bona fide member of the school team is a student who is regularly present for, and actively participates in, all team practices and competitions. Bona fide members of the school team are precluded from missing a high school practice or competition in order to practice or compete with an out-of-school team. and is ineligible for tournament play immediately upon confirmation of the violation. See Rule 96 for additional tournament restriction and Rule 86 for waiver guidelines. A student shall be under 19 years of age, but may compete during the remainder of the school year, provided that his/her 19th birthday occurs on or after September 1 of that year. For grade 9 competition, a player shall be under 16 years of age but may compete during the remainder of the school year provided that the sixteenth birthday occurs on or after September 1 of that year. Principals must exercise great care in determining age of contestants, and in all doubtful cases, must secure birth certificates from the town clerk of the pupil’s place of birth. A student must secure during the last marking period preceding the contest (e.g. second quarter marks and not semester grades determined third quarter eligibility) a passing grade in the equivalent of 5 credits. During the season of practice or play, a student shall not, regardless of the quantity, use, consume, possess, buy/sell or give away any beverage containing alcohol; any tobacco product; marijuana, steroids; or any controlled substance. This policy includes products such as “NA or near beer”. It is not a violation for a student to be in possession of a legally defined drug specifically prescribed for the student’s own use by his/her doctor. This rule represents only a minimum standard upon which schools may develop more stringent requirements. First Violation: When the Principal confirms, following an opportunity for the student to be heard, that a violation occurred, the student shall lose eligibility for the next consecutive inter-scholastic contests totaling 25% of all interscholastic contests in that sport. For the student, these penalties will be determined by the season the violation occurs. No exception is permitted for a student who becomes a participant in a treatment program. It is recommended that the student be allowed to remain at practice for the purpose of rehabilitation. All decimal part of an event will be truncated i.e. All fractional part of an event will be dropped when calculating the 25% of the season. Second and Subsequent Violations: When the Principal confirms, following an opportunity for the student to be heard, that a violation occurred, the student shall lose eligibility for the next consecutive interscholastic contests totaling 60% of all interscholastic contests in that sport. For the student, these penalties will be determined by the season the violation occurs. All decimal part of an event will be truncated i.e. All fractional part of an event will be dropped when calculating the 60% of the season. Taunting includes any actions or comments by coaches, players or spectators which are intended to bait, anger, embarrass, ridicule, or demean others, whether or not the deeds or words are vulgar or racist. Included is conduct that berates, needles, intimidates or threatens based on race, gender, ethnic origin or background, and conduct that attacks religious beliefs, size, economic status, speech, family, special needs or personal matters. Examples of taunting include but are not limited to: “trash talk”, defined as verbal communication of a personal nature directed by a competitor to an opponent by ridiculing his/her skills, efforts, sexual orientation or lack of success, which is likely to provoke an altercation or physical response; and physical intimidation outside the spirit of the game, including “in the face” confrontation by one player to another and standing over/straddling a tackled or fallen player. In all sports, officials are to consider taunting a flagrant unsportsmanlike foul and disqualify the offending bench personnel or contestant from that contest/day of competition. In addition, the offender shall be subject to existing M.I.A.A. Expulsion Rules. A warning shall be given to both teams by game officials prior to the contest. At all M.I.A.A. contest sites and tournament venues, appropriate management may give spectators one warning for taunting. Thereafter, spectators who taunt players, coaches, game officials or the spectators are subject to ejection. All student athletes are required to have a physical exam before trying out for a sport. A physical exam must be obtained by the student athlete’s own physician but must be obtained within thirteen months from the beginning of the season for which they are participating in (ex: an exam cannot be used for two consecutive soccer seasons, but can be used for soccer and track and field in the same academic year to be valid. Students participating in all sports shall have a student medical insurance policy in force at the time or have a parent/guardian submit a waiver from this requirement and give evidence of having personal insurance to cover the accident or injury to the student. Any parent/guardian interested in purchasing school health insurance should acquire a form from the main office at the high school. Student athletes will not be allowed to participate in pre-season try-outs or in any practice or competition until the student/parent-guardian waiver and concussion history forms are completed and confirmed online. In order to remain eligible for all co-curricular activities a student must secure during the last marking period preceding the co-curricular activity a passing grade, ( pass all five credit courses or 2.5 credits per semester course) and receive full credit in all courses with the exception of physical education or health education. Students may apply for a waiver from the Athletic Director and Assistant Principal. The waiver process only applies to the student with one “F.” A maximum of only one waiver could be granted during the student’s enrollment at Ludlow High School. Eligibility for the following school year’s fall sports will be determined by the preceding year’s Final Grade as per MIAA rule 58.1. The longer I live, the more I realize the impact of attitude on life. Attitude, to me, is more important than facts. It is more important than the past, than education, than money, than circumstances, than failures, than successes, than what other people think or say or do. It is more important than appearance, giftedness, or skill. It will make or break a company, a church, a home. The remarkable thing is, we have a choice every day regarding the attitude we will embrace for that day. We cannot change our past…we cannot change the fact that people will act in a certain way. We cannot change the inevitable. The only thing we can do is play on the one string we have, and that is our attitude. I am convinced that life is 10 percent what happens to me and 90 percent how I react to it. And so it is with you………………we are in charge of our attitudes. Student must submit an Athletic Permission Waiver that is signed by both the student athlete and a parent/guardian. Student must submit an updated physical exam form, signed by her/his physician. Student must be academically eligible. Student must be free of school or athletic team obligation. Student must submit a participation fee/or must be exempt from submitting a fee. The following guidelines pertain to all student athletes trying-out for an athletic program. All students must try out each year for the program. Prior positions on teams are not guaranteed. No student is allowed to try-out for an athletic team after the fifth (5th) practice day. The only exceptions to this rule are injury, illness, transfer, or being cut from another team and becoming a member of a non-cut team. There are some teams that athletes must try-out for and risk of being cut. During the try-out period, the coach will provide an explanation of her/his expectations. It is the student athletes’ responsibility to demonstrate to the coach that she/he can meet the expectations. Student athletes who do no make a team are encouraged to join a non-cut team immediately. Student athletes’, who are cut, will be informed in person by the coach as to the reason for not making the team. Every student athlete will be afforded the same try-out opportunity. Participation in athletics is inherently dangerous. Even when all reasonable precautions are taken, students can be and, indeed, may be injured. All students participate in athletics voluntarily with the permission of their parents or guardians. Along with this participation, the student athletes and their parents/guardians accept the inherent risk to which athletics exposes them. Any athletic injury which occurs during an athletic season must be reported to the athletic trainer and the coach. A student must be in school on the day of the event in order to participate. Students wishing to participate in an athletic event must be in school for a minimum of four full class periods on the day of the event. The ideals of good sportsmanship, Ethical behavior and integrity should permeate all interscholastic athletics in our community. In perception and practice, good sportsmanship shall be defined as those qualities of behavior which are characterized by generosity and genuine concern for others. Our athletic fields should be the laboratory to produce good citizens reflecting “fair play” in every area of life. Game attendance is a privilege not a license to verbally assault others or to be obnoxious. Respect the entire playing of the National Anthem. Respect decisions made by contest officials. Be an exemplary role model by positively supporting teams in every manner possible, including content of cheers and signs. Become aware of the purpose of the league and rules to keep winning in its proper place. Respect fans, coaches and participants. Be a fan…not a fanatic! Recognize outstanding performances on either side of the playing field. Refrain from coaching your child or other players during games. All student athletes must comply with all school, PVIAC and MIAA rules with further discipline will be at the coaching staff’s discretion. Appropriate behavior is expected both in and outside of athletic participation. Always represent your school and town with class. to assume the responsibilities, privileges and obligations for being an athlete. to abstain from alcohol, tobacco and drugs. to agree that academics are the priority, not athletics. to work hard on a year-round basis. to promote team harmony and spirit by avoiding special interest groups and cliques. to sacrifice personal glory for the cause of the team endeavor and unity. to seek those relationships with my peers which bring credit to me and my school. to realize that all members of the team have a unique role and contribution to make. to remember that a good athlete will strive to top his/her own capacity to achieve, regardless to criticism and even in a losing cause. to remain with the team from the first day and until the season is completed. to never place a limit on what can be done. to give more to the team than you receive. to be a leader by the worthwhile things you do and say. to give best effort to develop competitive physical and mental fitness. to practice in word and deed that which is the best in the American character: competition, loyalty, morality, self-reliance, self-sacrifice and the responsibilities of self-discipline. to respect myself, my school, my team, and my community in a positive manner. or work to finish; don’t delay. and then to put the blame on fate. The habit that you vowed to break. we cannot see beyond today.